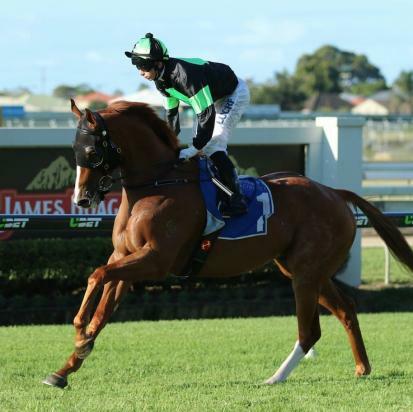 Almost twelve months to the day since his last win, Sir Moments returned to the winners stall with an authoritative victory in the Open Handicap over 1350m at Doomben on Saturday. The five year old had the task ahead of him with the outside barrier in the field of ten and the top weight of 60.5kg's but that wasn't enough to stop him. He went back to last after jumping and travelled well as there was plenty of pace up front. Jockey Paul Hammersley peeled him to the outside to make his run approaching the turn and Sir Moments let down strongly, proving too good for the rest of the field and pulling away to score by a length. It was win number eight for the son of Choisir and took his earnings to over $725,000. He will line up again in two weeks at the Sunshine Coast, as he tries to make it back to back wins in the Listed Tails Stakes.